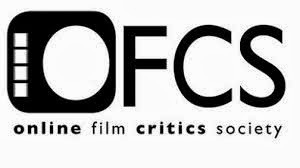 100 min., not rated (equivalent of a PG-13). Science doesn’t typically figure into a romantic comedy, but “The Female Brain” aims to climb inside the minds of both men and women, seeing how they relate to each other biologically based on their brain chemistry, and dismantle gender stereotypes. 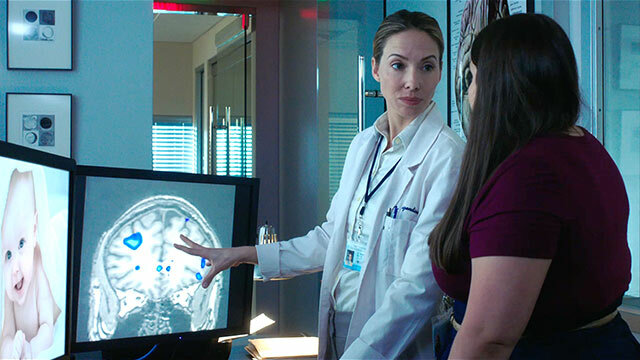 Stand-up comedian Whitney Cummings makes this her directorial debut, working from a script she co-wrote with fellow comic Neal Brennan, based on the 2006 book of the same name by neuropsychiatrist Louann Brizendine. What Cummings and Brennan bring to the table is smart and insightful, but only funny here and there, and very hit-and-miss in terms of all of the characters they want to juggle and the emotions they want to hit. "The Female Brain" works as much as it doesn't. Cummings, the actress, stars as a fictionalized version of the book’s author, here named Julia Brizendine and working for a university to conduct research on the differences between both sexes’ brain stimuli. She is so analytical and such a workaholic that it’s forced her to resist being in a relationship; well, that, the fact that she believes brain-imaging results are the ultimate litmus test, and the fact that her husband left her, reminded constantly by her mother (Marlo Thomas). One of her test subjects is Kevin (Toby Kebbell), a scruffy charmer with an acerbic sense of humor, holds the power to make Julia flustered, but will she stop thinking with her brain and start thinking with her heart? Framed as a TED Talk-like lecture, “The Female Brain” presents case studies of three other couples, tracking them through their relationship foibles, which seem to exist because both sexes’ brains are wired so differently. Lisa (Sofía Vergara) and Steven (Deon Cole) are a couple in their 40s with a son who have been married for 12 years and finally admit to themselves that their marriage has gone stale. (In voice-over, Julia asserts that there is less passion in their relationship because after about two years, their brains stop producing dopamine.) The neurotic, self-conscious Lexi (Lucy Punch) and her boyfriend, Adam (James Marsden), have been together for a couple years, but when she’s not primping herself to look perfect, Lexi can’t help trying to change Adam, and that’s a problem. And then there’s Zoe (Cecily Strong) and Greg (Blake Griffin). She works for a sexist marketing team and remains working because she refuses to sit around and rely on her husband, a pro basketball player whose salary pays for their sleek mansion. After an injury sidelines Greg, he insists that he can handle doing all the work around their house without any help. For her first film, Whitney Cummings does get lucky with amassing so many talented actors on screen. Cummings is sharp herself as Julia, but her best moments involve the snappy rapport with her inquisitive assistant Abby, played by Beanie Feldstein, who’s just as appealing here as she was in 2017's “Lady Bird.” She may be Jonah Hill’s younger sister, but she’s funny and charming in her own right, and should have a long career ahead of her. With Cummings’ Julia obligated to end up with a man in her lap because the script tells her to do so, Julia finally letting go and falling for Kevin is a complete contrivance. And yet, Toby Kebbell does everything he can with the one-note role with his funny, endearing presence, going as far enough to make one want to see him cast in more film roles with this kind of levity. As for the other couples, Sofía Vergara and Deon Cole make due with their clichéd storyline, as they experiment with the drug Molly as a source of comedy for the audience, and Lucy Punch and James Marsden exhibit no chemistry as Lexi and Adam. Jane Seymour at least injects some energy into her one scene as Lexi’s caricatured mother, which signals why Lexi is the way she is. Finally, Cecily Strong and Blake Griffin are given the most amusing moments, and continuing the trend of professional athletes trying their hand at comedy following LeBron James in 2015's “Trainwreck,” NBA player Griffin showcases such unexpected comic chops that acting could maybe turn into a side gig for him. 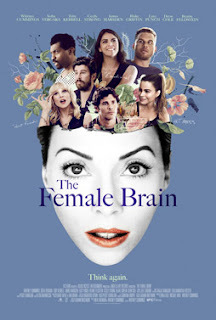 “The Female Brain” is pleasant to watch, but with any episodic narrative structure, some of the couplings work better than others. Since the film wants to focus on all of them, this leaves few characters to actually care about. This is a fair first time out for Whitney Cummings behind and in front of the camera, and the use of stop-action graphics with superimposed brains onto the heads of the characters, coupled with notes and Julia’s voice-over, is a consistently witty and surprisingly not-irritating device that at least brings a fresh perspective. For once, a romantic comedy nails the matters of the brain, but the matters of the heart don’t really register here.